Time flies when you are having fun. Sabrina and I have been blogging now for two months and it’s been an incredible two months. In that time we’ve put up close to 40 posts, created a Facebook page and started a local Facebook group. Both of us have blogged before, but this time it feels different. Sabrina and I met at a parent support group/session organized by our Clinical Support Worker and became fast friends when we realized how similar our children were. Since then there have been endless play dates and hours of talking where we shared strategies and challenges, quickly realizing that while our journeys were different, there were enough similarities and many identical challenges. As we shared information with each other, the idea for this blog was born. We both have done countless hours of research over the years both pre and post diagnosis and realized that if we had this much information to share with each other, then maybe others would benefit from the information. Our goal is simple – if we can help even just one person raising or caring for a child on the spectrum then we’ve done our job. 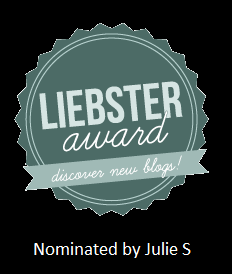 Recently we’ve been nominated for a Liebster award by Julie who blogs over at AutismAdvocacySpecialNeeds. We are humbled by this nomination and can’t believe that in such a short period of time we’ve managed to get as much interaction with blog and pages as we’ve had. So thank you to all of you for reading, liking, commenting and sharing. And thank you to Julie for this nomination. All four of these blogs share very different journeys and perspectives relating to autism and we think they are all very worthy blogs to look at. Now looking at the awards we’ve seen versions with multiple questions and versions with fewer questions – we’re all busy so we’ll stick with one very important question. Here are the rules for accepting this award. Due to time constraints our nominator opted to go back to a simpler form of this award for her nominees 🙂 And as she suspected, she is not the only one who would like to participate and “pay it forward” so to speak, and we would like to keep it simple for posterity. 1)Were there any times that you felt proud of yourself or your children this week? Rebecca: Yes, absolutely. We went to the store which is normally hard for her, but she remained calm throughout most of the visit. Sabrina: I am proud of him everyday but this week I was especially proud of how well he did when we took him to Sugar Bush weekend with little prep work before hand. Usually doing things on a whim result in massive meltdowns but he actually did very well just going with the flow even after mommy had an asthma attack and we had to abruptly leave. 2. Was there something that you were disappointed with or discouraged by this week? Sabrina: Yes I am 100% on board with Rebecca here. We are currently in the middle of a blizzard warning so the Monkey is very upset because tomorrow is really up in the air. We do not know if he will have therapy or if he will be going to my parents in the afternoon while I work. 3. What are a few of your favorite family activities? Rebecca: We love reading and playing games like go fish. In the summer we really like spending lots of time outside. Sabrina: We love reading, playing board games, hide-and-seek, going to the movies and spending times outdoors. 4. Who has been the most helpful to you as parents (friend, relative, co-worker, etc.) and why? Rebecca: This is a long list. We’ve had several people who have been helpful at certain points in our life. When we lived in Toronto, my next door neighbours were the most helpful when MJ was first born and leading up to her birth. As we moved, our relatives were very supportive in helping us get set up. After our diagnosis, I would say Sabrina has been extremely helpful and supportive. I also have a few really good friends still in TO who are willing to support us across the miles and when we come to visit go out of their way to make any necessary accommodations to make things as easy as possible on MJ. We also have an amazing daycare provider who has been on board to help and support us in any and every way we need through our journey. Sabrina: Pre-diagnosis, my friend Jessica who recently did a guest post on our blog would have been one of the most supportive and informed individuals I knew at the time. She helped me get the ball rolling on the Monkey’s diagnosis. After diagnosis Rebecca would have to be my main supporter since moving back to New Brunswick as she understands what life is like in my house as MJ and the Monkey are so a like it is almost scary. My parents have helped by babysitting the Monkey while I work which makes one less transition I need to deal with. Lastly my work has given me the opportunity to work from home so I can be here for the Monkey’s therapy which has been amazing. 5. Who are the kids best friends – relatives, neighbors, or classmates? Rebecca: MJ has two best friends – an older girl at daycare, and Sabrina’s son. Sabrina: The Monkey’s best friend is MJ because they get along so well and understand each other. He also has a buddy named Owen who he gets along with relatively well for short periods of time as Owen is an average rough and tumble little boy who wants to jump from one activity to the next whereas the Monkey likes to do the same thing for a long time. Congratulations Rebecca and Sabrina! Great job! I love how you answered these questions. There is so much I can relate to. My son is pretty adaptable but he does respond well to a little prep. I find even a 5 min prep is better than no prep. Despite being non-verbal, he still wants an explination of what’s going on. My prep routine is usually a very short explination in ASL and that makes all the difference in the world. I love it when we don’t have meltdowns! lol. I also enjoyed how you pointed out that the support network changes and evolves over time. My son’s best friends are both typically developing and non-verbal, age difference, gender difference, a friend is a friend and I think that’s also worthwhile to remember! Thank you for nominating us Liana S. Life with little ones on the spectrum is every changing. They are ever changing and it keeps things interesting! For sure! I love the interesting part (most of the time) 😉 I can’t wait to take a few minutes and check out these blogs! Hopefully I’ll get to some before the little guy pulls me away! I’m so excited and grateful, I just saw that you nominated me? Thank you!!! Is there something I need to do now? Hi. You are so welcome. We love your blog. So poetically written and real. Here are the rules if you choose to accept the nomination. 3. Let your nominees know by leaving a comment on their sites. That is it really. We were asked to fill in a few questions but I have seen other nominees who have not had any questions to answer but rather explained a bit of why they were doing the blog and what it means to them. This is for the new bloggers that may find their way to you through the nomination. Thank you for the nomination. I am both honored and humbled by it. I read your blog, and it not only inspires me but encourages me. Thanks again for the nomination and thank you for sharing your story. You are helping so many parents, like myself, more than you can imagination.